… not always for the worst. What? A power rider? Me? When did that happen? 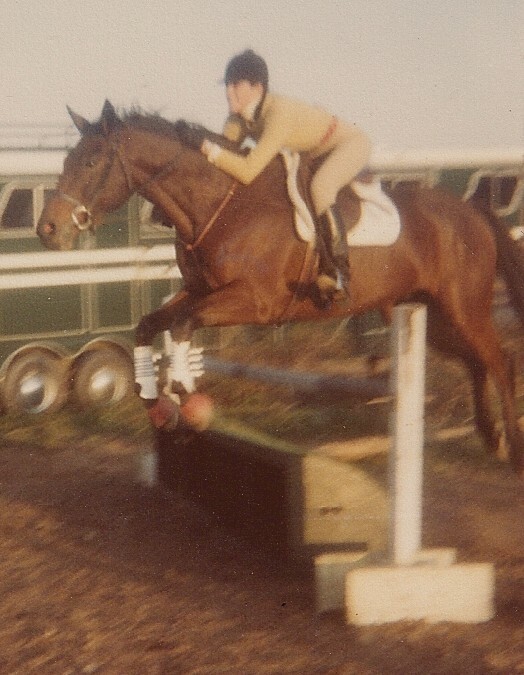 In the intervening decades, I retrained an OTTB and often worked on my own. Turns out my effectiveness has grown but I’ve gotten sloppy on the details. Since I strongly believe good form contributes to effective function, I am happy to go back to the basics of getting my shoulders back, my head up, etc. Meanwhile. A power rider? Well, thank you. Yes, KPM photographs. And “power rider” is a translation of what we’ve always told you – you have an electric seat. Will have to dig up some more classic photos. And by the way, the photo on the left was at “the Great Pumpkin” show. Darnestown PTA @ Seneca Valley on October 31, 19-mumble-mumble. Since it was held on Halloween, I braided Bentley in orange yarn & showed him as The Great Pumpkin. 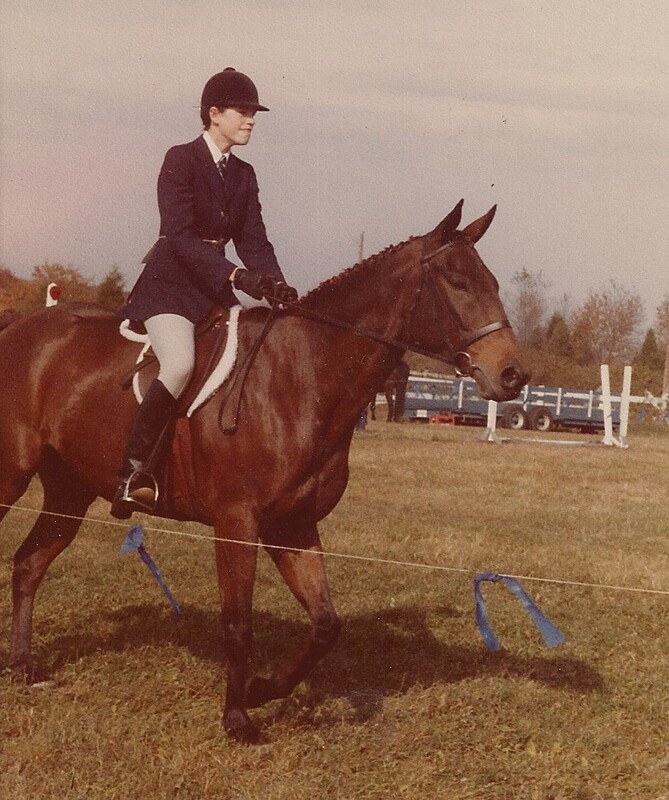 you still look lovely on a horse.